Music, for me, has always meant entertainment. I love watching and listening to music in all its forms. These days, particularly since Elena has been with us, most of such entertainment happens at home—and online. Streaming through our ceiling-mounted speakers is an evolving world of music that seems to have no end. Innovations in recent years have expanded our online listening options exponentially. Knowing these options can improve your home entertainment capabilities—whether for dancing with your newborn, simply setting a positive tone in the house or playing new music to check out a different band. MP3 files. Originally brought to the fore by the likes of Kazaa and Napster and legitimized by Apple, this format caught on like wildfire. Recently, the surviving services have moved into "the cloud" and the field has become highly competitive, with Google and Amazon both heavy-hitting players today. How does it work? If you don’t know by now, users download an application for a desktop or mobile device, and their music content is managed there. For people on the run, this is the default choice. It requires a negligible amount of maintenance—and collection, a concept I tend to avoid. Internet radio. Pandora is the most popular name in this Internet-only segment. Internet radio service providers make a clean break from terrestrial radio (i.e., AM/FM). These companies employ a subscription-ad model, which can generate significant revenues. Other players in this space, like Last.fm, Rdio and Spotify, accept a subscription fee, providing users with an ad-free experience, or give “free” service whereby listeners hear an advertisement every few songs. We paid $36 to Pandora this year, and while I love that there are no commercials at that price, the depth of its song base is weak. Most artists I can name are searchable, but beyond the first few songs played according to my selection, quality seems to decline no matter how interactive I am with the platform. My sense is that quality (i.e., depth and breadth of offerings) will be the ultimate difference maker in this segment. Streaming video. This includes such sites such as Vevo and YouTube Disco, where users have the ability to create playlists and interact with a connected community of users. This is a fun way to see music online and discover new artists. Vevo and Disco have deep troves of music. I found Amos Lee, played often in our house, this way. Be ready for limited commercials, both in the videos themselves and on the sites containing them. Public radio online. This is my favorite segment, and for users who can navigate their way around it, the path to musical discovery can be long and happy. 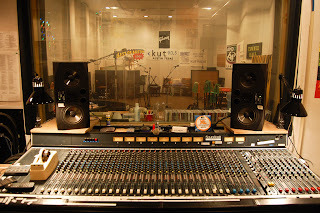 I'm a longtime fan of public radio, having visited a station or two in my day, most memorably KRTS in Marfa. My top five stations for choice programming are KCRW (Los Angeles), KEXP (Seattle), KUT (Austin), KXT (Dallas-Fort Worth) and WXPN (Philadelphia). What do I like about listener-supported radio? Local flavor and support of independent artists. In a few minutes, I can tune into any city to get a feel for its music and cultural scene. And I've heard countless interviews with artists I would otherwise know nothing about. These stations are often on university campuses. They are often commercial-free, the best thing going in radio. Most stations have their own apps. These apps have a variety of features, again free, with on-demand access to station archives. Live sessions and concerts are common across the top-tier public radio stations. A few noteworthy music shows syndicated on public radio airwaves are: American Routes, UnderCurrents and World Cafe. There are many, many more. NPR Music has become a leader in online music and offers several shows through its portal. There are a couple of downsides to public radio online—one is control. It is lost to a certain extent, making the listening experience less personal. Two is that these "community stations" raise money a few times a year, and when they do, there are interruptions to routine listening. In the past, I have supported KUH (Houston) and KUT, and most recently, KXT. The choice to do so—or not—is yours. What are your thoughts on the online music scene? What do you like about it? Which model will survive, or can they all? What is your preferred listening experience? Proud dad of beautiful girls, Elena and Isabel. Native Houstonian with a passion for many things. Professional headhunter.